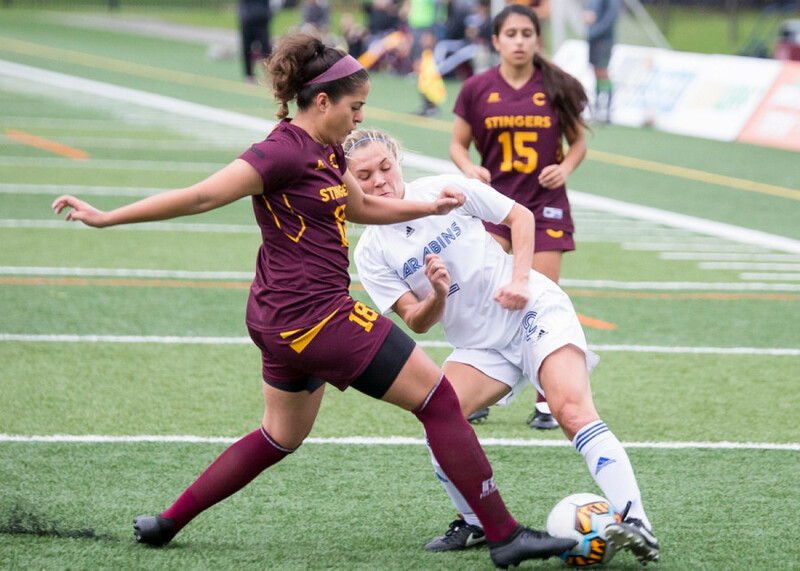 Midway through the offseason, Concordia’s athletic department announced that, after 16 years, Jorge Sanchez will not be returning as Stingers women’s soccer head coach for the upcoming season. While this decision may have come as a shock to some with training camp just weeks away, behind the scenes, this has been months in the making. “Jorge, myself and members of the athletic department have been working on this for a while,” said department head D’Arcy Ryan. Sanchez said that he’s been indecisive over the last couple seasons whether or not to stay on with the program. He knew that a transition would have to take place eventually. “I told D’Arcy it was getting harder and harder to coach, especially in the winter where with the season done, we train during the day which conflicts with my other job,” said Sanchez. “He’s always been straight up with me, and I’ve always said that coaches have an expiry date.” Sanchez said he’s always wondered with each change in athletic director whether a change was going to be made to the soccer program. When D’Arcy Ryan was appointed he evaluated the athletics department as a whole, and each program individually to determine a plan of action specific to what needs adjustment. The women’s soccer program’s time for change is now. While the timing may not seem exactly right, switching out a long serving coach for a fresh face just ahead of training camp, both Sanchez and Ryan agreed that it’s now or never. As Sanchez’s 16 year coaching career with Concordia comes to a close, he plans to stick around for now. After all, bringing in a new head coach to spearhead a program with new recruits, hand selected by Sanchez, won’t be easy. “Between now and training camp I’ll be around to help the new coach, and we’ll sit down together to discuss the support they need for the rest of the season, and that will determine if I stick around to help,” said Sanchez. The department has posted the job opening both on its website and across social media, and is looking for a candidate to fill the position. When it comes to what they’re looking for, Ryan said that a potential replacement should be responsible and driven. When it comes to their vision for the program going into the future, Sanchez and Ryan are on the same page; sustainability and competitiveness. “We missed the playoffs for almost ten years and this program needs to get to a point where its successful and that success is sustainable,” he continued. Sanchez feels it’s important that whoever takes over the position has the full support of not only the athletic department, but the University itself behind them. What draws athletes to a university is not only their athletics programs, said Sanchez, but the level of education offered by the school. “The coach has to work in tandem with the University in a sort of cohesion that will attract talent to come to Concordia,” Sanchez said. Ryan also seeks this level of competition, citing the growing popularity of soccer as one of the reasons he wants to see this program revamped. Aside from staying on temporarily to aid in the transition process, Sanchez plans on stepping away from coaching. Sanchez feels he’s done all there is to do in terms of coaching, having coached at a club level, provincial level, and the university level.